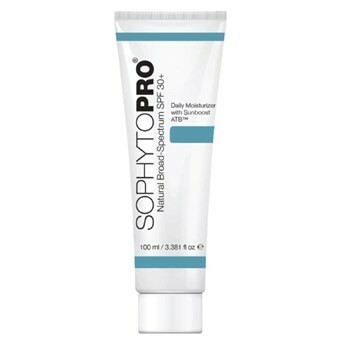 This moisturizing sunscreen provides comprehensive skin protection against UVA, UVB and free radical damage. This moisturizing sunscreen provides comprehensive skin protection against UVA, UVB and free radical damage. It combines SunBoost ATB™, a powerful blend of antioxidants and skin-soothers to reduce the appearance of aging. The rich texture instantly absorbs, leaving skin feeling soft, smooth and perfectly protected. The formula can be applied under makeup for a foolproof, matte finish, and on other areas not covered by clothing for ultimate sun protection. Apply liberally to face, neck and other sun-exposed areas 15 minutes prior to sun exposure, or as part of a daily skincare routine. Reapply every two hours. As with all sunscreens, reapply after swimming or sweating.